Does your kid know that movies used to be silent and in black and white? 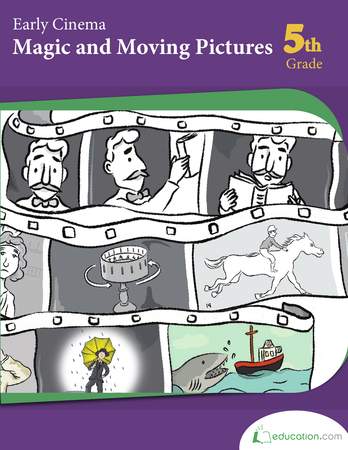 Learn a bit about the history of early cinema with this reading comprehension worksheet. He'll write some responses to the interesting Hollywood factoids and even pick up some fun movie trivia for your next family movie night! Read about exciting early cinema like The Arrival of a Train at La Ciotat Station! Find out how mundane topics entertained and even scared audiences. See the history of the helicopter, from its conception in ancient China to the modern vehicle it is today. Students will learn about the history of hyperbole in literature and politics. Reading informational texts is a crucial part of education. 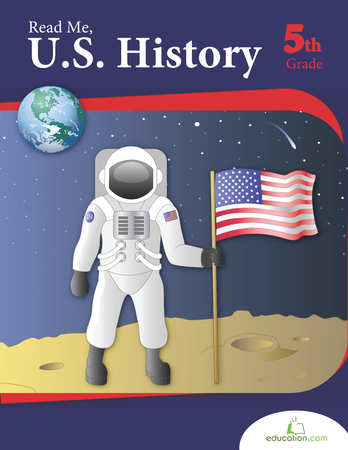 This series can help your child think critically about U.S. history. He'll respond to passages, analyze events and learn new vocabulary. These worksheets introduce kids to the early filmmaker, Georges Méliès.